I've rambled and raved a lot about those Bengali heroes. But what would they be without their partners in crime? As a relative newcomer to Bengali cinema (although, true to form, I've watched quite a few films in a short period of time) there's only five or six Bengali actresses that are even on my radar from the '50s and '60s, The rest are still footnotes in my imagination, even if I've seen them in a film or two. Six sounds like a very exclusive club, but, it's really not when you consider that the hero position during the same period is dominated by three or four actors (which I would name as Uttam Kumar, Soumitra Chatterjee, and Biswajeet). 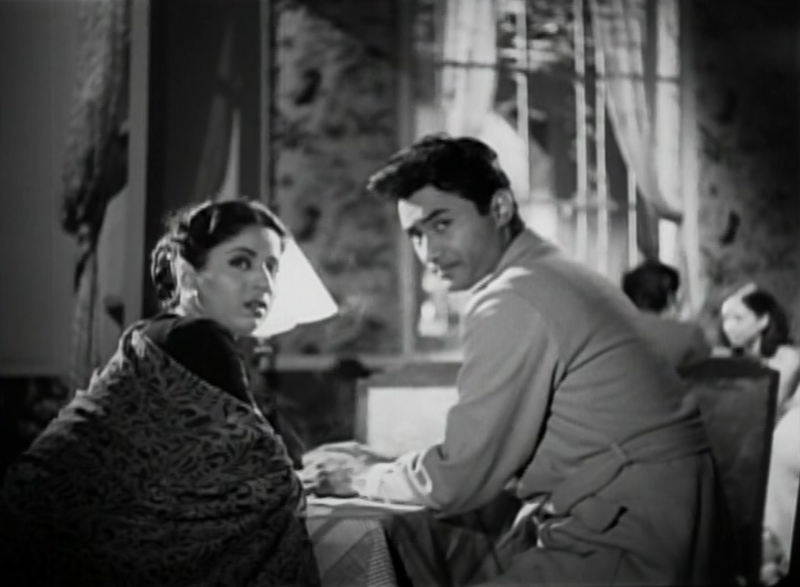 There are occasional crossovers by Ashok Kumar, and if you get into artier cinema, there's a lot more variety in lead actors (Kali Banerjee is pretty interesting to watch, in my opinion), but I don't get the sense that a quiet social piece by Ritwik Ghatak or Mrinal Sen garnered the same public attention or adoration as a commercial romance by Ajoy Kar. Whereas, all of the women below could, I think, claim commercial success. Here are the leading ladies, in order of my current experiences with and attachment to them. I'd like to sketch out, for the record, what I feel their strengths are, and which films best show their skills. Some of these ladies are still barely in my experience, but that's where y'all come in--you can advise me on what films to see next! 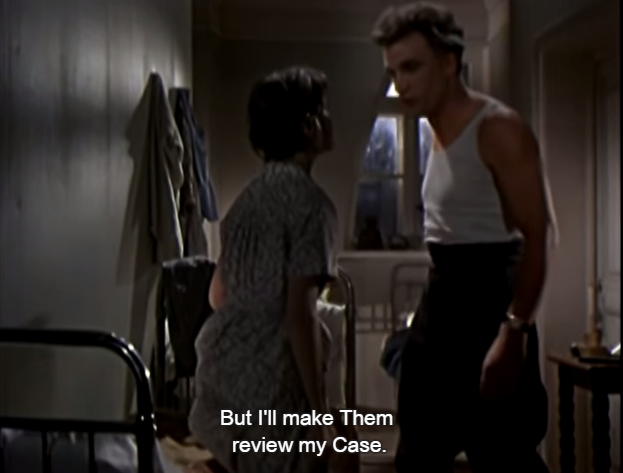 Eventually, when I've seen twice the films I have now, I'd like to return to this subject and see how my feelings and opinions about them have been augmented by other performances or films, good or bad. 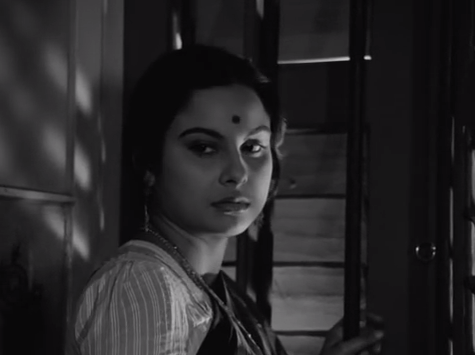 Honestly, except for Charulata, Madhabi is almost completely out of my experience. But Mahanager seems an obvious next step. I've started the film multiple times and I always stop for some reason. Maybe I'll correct that soon. I loved this Outlook piece with Madhabi and Soumitra on the occasion of Charulata's fiftieth anniversary. What intrigues me about (what I've seen of) Madhabi is that she's not conventionally glamorous, pretty, or even pleasant in her expressions. This reminds me of Supriya Devi or even Waheeda Rehman, except that Madhabi seems to lack even their "nurturing temperaments" that would cover over these "sins." Instead of a womanly or girlish role model, she is fiery and unpolished (which I'm sure Ray must have been looking for in his casting process). Any other Madhabi films you would recommend? There's only one Sabitri film under my belt, Abak Prithibi. Perhaps it shouldn't even count because the film is about 90% concerned with Uttam and Tarun Kumar's characters, and about 3% driven by her character's choices. 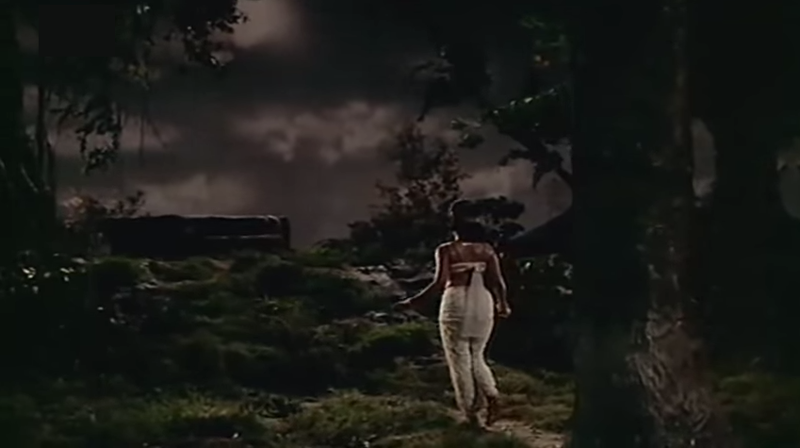 Sabitri's character is interesting, but the film is relatively brief, even for Bengali cinema (which is already briefer than its Hindi counterpart), and her one meaty scene is never really followed up upon. However, I quite liked Sabitri in it. She projects a kind of intense mental energy that carved out a memorable place in the film that her character hardly deserved. She's graceful, but not attention-seeking, making her brand of classiness far more approachable than that of Suchitra Sen (the textbook high-class dame of Bengal). 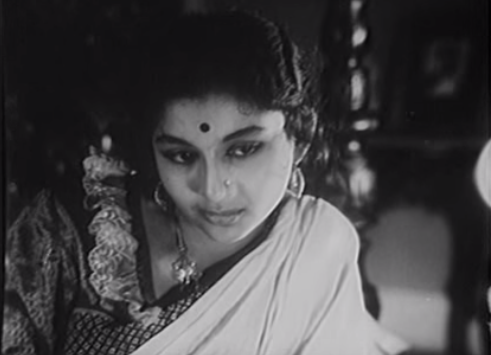 She's considered one of Uttam's most popular leading ladies, but I've found their films hard to track down, even without subs. Perhaps I shall see Shesh Anka next. Plus: Her CUTE GLASSES look and I'm so gone. Talking to Beth of BLB, we admitted to a mutual "meh" reaction to Aparna and a ongoing inner question regarding the depth of her craft. She certainly made a name for herself as a director (so very impressive when you consider she started directing in the '80s, and cinema in any film industry is still notoriously a male director's game). But as an actress, I have yet to warm to her. Except, in the occasional song. It's not that she's a xeroxed collage of other actresses. She's certainly not forgettable, and she brings a lot of energy (if not variety) to her roles. 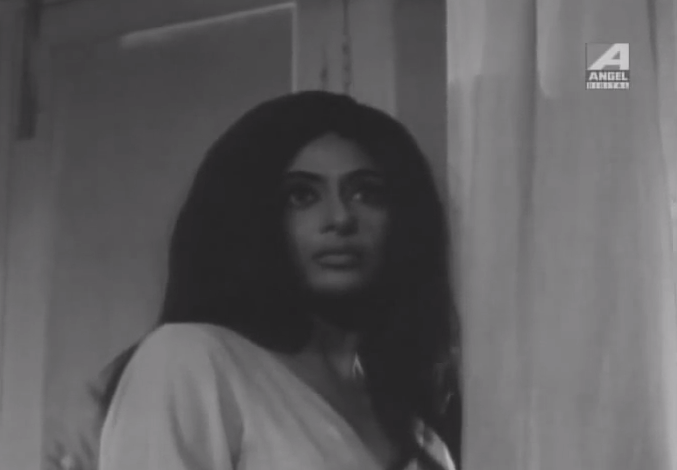 She doesn't seem like a copy of Sharmila or Suchitra, despite the penchant for bouffants. In my mind, she's the poster-girl for the modern woman: independent but also very moral in her own way. Her characters are usually self-possessed and removed from usual concerns of tradition or public opinion. All this *should* impress me, but I have to wonder if her characters hold back/seem independent because she doesn't know how to emote in more than a short range of potential feeling, not because the roles call for that kind of self-confident female. Everyone lines up to praise Suchitra. Like Elizabeth Taylor or Greta Garbo, she's as much a legend as an actress. 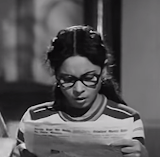 And of course, she's best known for being half of the dream-couple of Uttam-Suchitra. But, of course, she made her mark as a solo lead as well. I just saw Deep Jele Jai, which seems to be the solo performance she is most remembered for (beyond Aandhi, which Carla's recent review has convinced me is a must-see) ... and the performance the Bengali press still raves about. To me, this is an odd phenomenon. I realize that Uttam is not in the film (and it's not really a romance), and so, it stands to reason that you would actually get a chance to see Suchitra set free from the bounds of love scenes and family drama. I'm just going to ignore the arbitrary assumption that these elements would somehow restrict an actress' skills. But, the fact remains: Deep Jele Jai has possibly the most insanity (both intentional and unintentional) per square inch of any Bengali film you will ever see. If it was the main thing I was remembered for, I think I might question my own contribution to history. It's sexist, pagol, terrifying, and seems to have been penned by a delusional Neo-Freudian sensationalist. So maybe let's not remember her just for that, K? However, all her powers of old-school melodramatics are at their most extreme, and it's just insane enough to be entertaining if you go in with the right mindset and prepare for the 5 Stages of the Experience. What Deep Jele Jai DOES prove, is that you can always count on Suchitra to keep you watching. The less sense the storyline makes, the more Suchitra's skills are likely to be cast into definition. 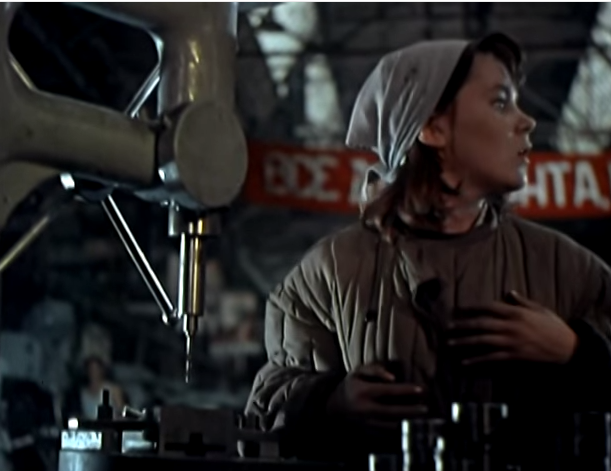 But of course, her more subdued roles (especially if they're not too preachy) are enjoyable as well. In the [relatively] sane Saptapadi or Chaowa Paowa, films with a lot of moments for her formidable personality to shine, she is sure to entertain and win a piece (if not all) of your heart. My crush on Sharmila is no secret, and certainly knows no bounds of time or place. And I'd hardly be saying something new if I said that Sharmila tended to get more fascinating roles to sink her teeth into when working in Bengali films. 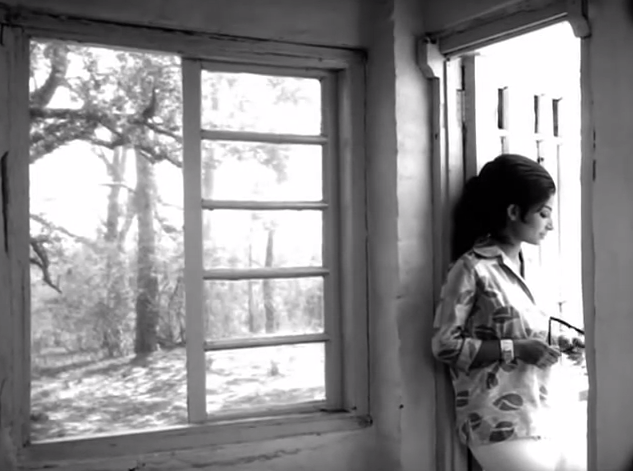 It's hard to deny, even though I'm as much in favor of her Hindi films as any fan. Note: Filmi-Geek has documented much love, perhaps even more than I, for her Hindi scandalous commercial cinema roles, and Conversations Over Chai has a lovely piece on her career as one of Hindi cinema's great divas. Devi. Barnali. 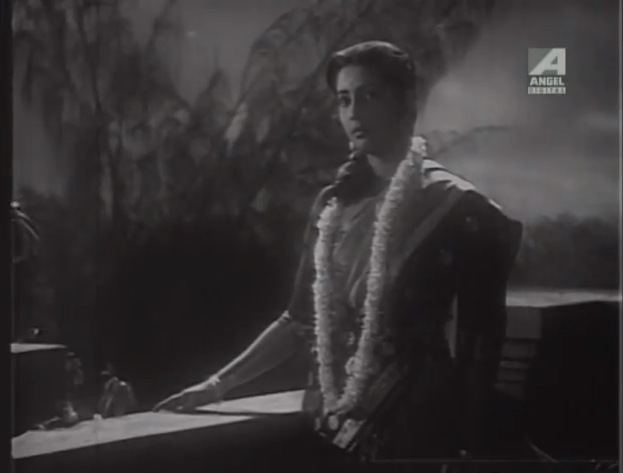 Apur Sansar. Aranyer Din Ratri. Nayak. I mean, these films are the work of two brilliant directors (Kar and Ray) but they are also the work of her genius. She carries so much of the weight of the stories. Ray films without her aren't as satisfying or as lovable. Nayak would be an existential fantasy without her. Apur Sansar glows with her enthusiasm. I don't know if I would have wanted to watch any other actress play the lead in Devi. My favorite role of all, perhaps (if you made me choose), is that of the complicated sophisticate in Aryaner Din Ratri. A main attraction of Bengali films, for me, is the time devoted to conversation and exploration of philosophical concepts by the main characters. 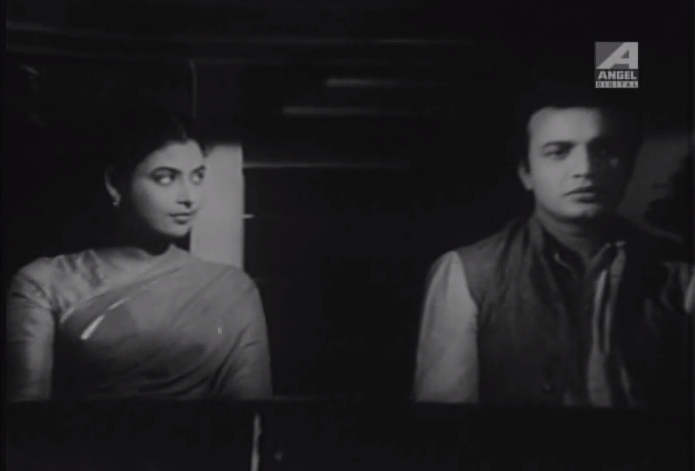 In general, there's not much analytic conversation Bombay films, and Sharmila is even more silent and watchful than the average Hindi heroine. It's not that she is a chatterbox in Bengali cinema. But in ADR, when she has a chance to speak, she speaks so well. It's really a joint performance, though. Sharmila and Soumitra use all the interpersonal knowledge of their past collaborations to create a relationship that breathes and steps out of the silver screen. These characters are much more worldly than any of their past characterizations. The virginal hues are replaced by more adult tones. But, just like in Barnali, you can almost hear the machinery in their minds turning as they try to listen to one another and really hear. 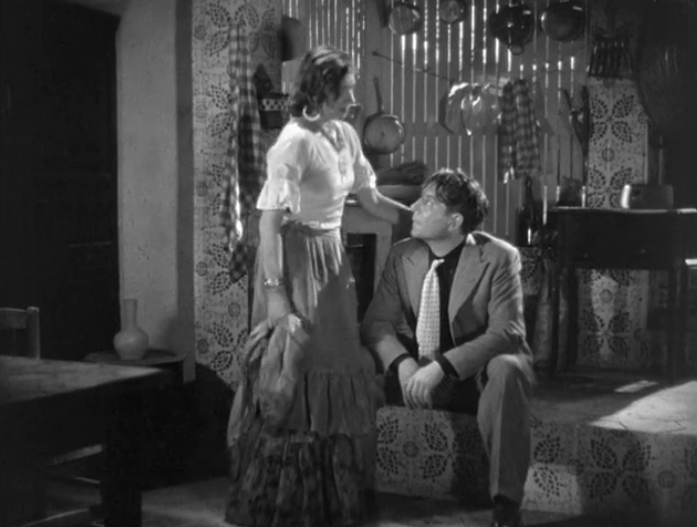 And as in Apur Sansar, they share a heady chemistry that I've never seen either of them conjure up with other actors. 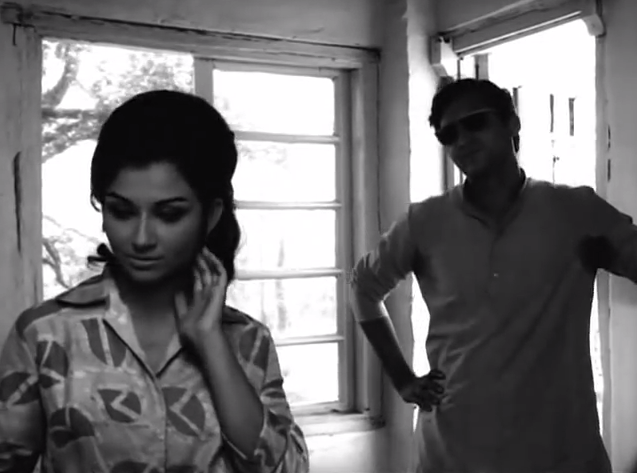 Beyond their gift of verbal expression, Soumitra and Sharmila share a talent for communicating through body language and in the relationship of their bodies to their immediate environment. When they as much as turn toward a window, it's almost as communicative as a paragraph of exposition. Perhaps this is what shouts so loud during Ray's protracted silences. Early Supriya is my favorite Bengali actress (beyond Sharmila—who is really a trans-regional star) for a lot of reasons. One of them? She feels like a real person in her interactions with other people. Internal processing is evident in her face. In scenes with Uttam, given the chance, you see so many transitional feelings in her… so many uncertainties and wishes. She’s not playing an ideal or upholding a moral position first. She’s a person caught up in the questions and desires of a moment. And she very much has her own agenda. 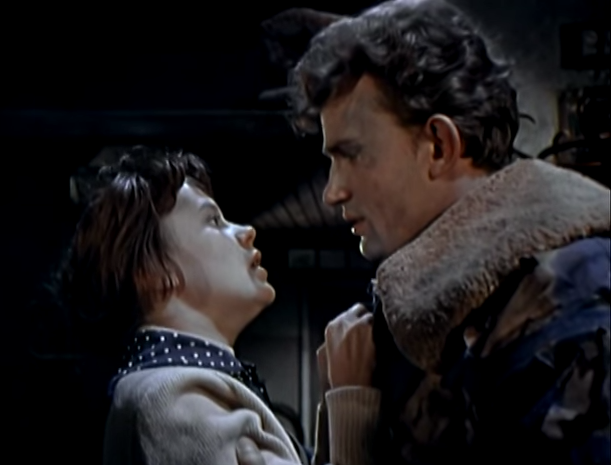 Of the films I've seen her in, it's clear she was at her best in the early 60s. Like other Bengali actresses, she is sometimes the victim of TOO-MUCH makeup, which restricts her ability to emote and react. And that trend seems to get worse in the late 60s. And when I say worse, I mean TERRIBLE. She could be emoting her heart out, but you can't tell with all the face paint in the way. 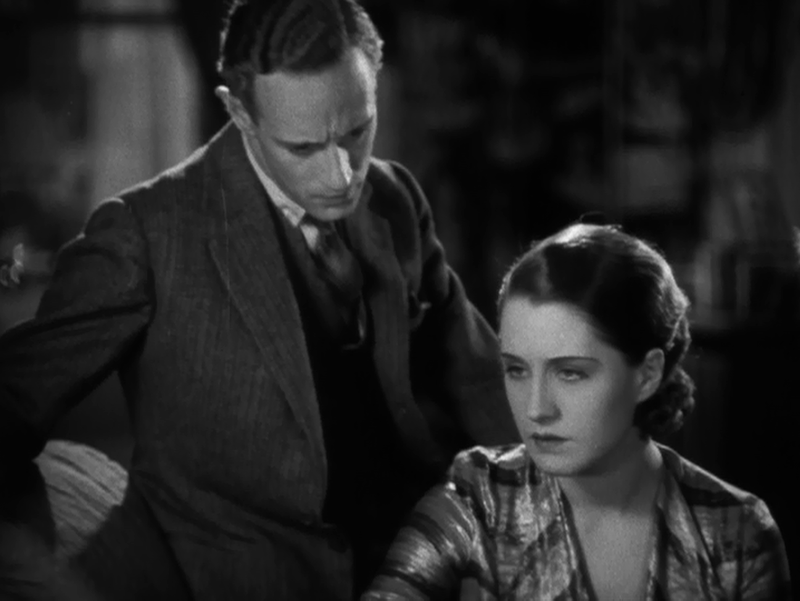 This is quite the dream role for any actress, because the heroine is allowed to transform from petulant and prejudiced (but smart) heiress, to a still-outspoken and brave woman who makes a momentous decision at the end of the film. This is a decision that nobody makes for her and flies in the face of what everyone has told her/tried to force her to do (including both her family and her love interest). 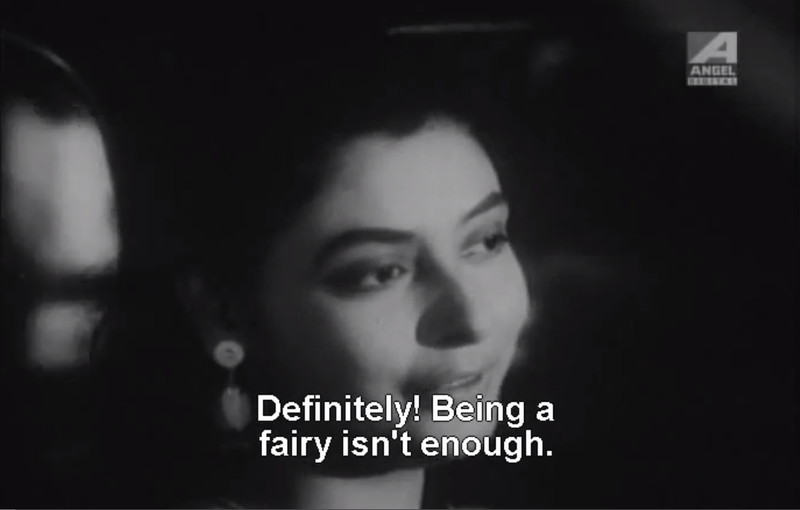 AND, and, and, not only does she get to make that decision based on an interesting arc of self-discovery and on her own grit alone, but she totally schools the hero (Uttam Kumar) at the end, letting him know exactly why her way is best. Her character is messy and self-interested and yet, I still love her because she just wants to be happy. One can't blame her for that. When she's manipulative, it's not because she wants other people to suffer, but because she knows she needs to be underhanded and clever to navigate a patriarchal system. As much as I love Sharmila, this is a role for a woman who isn't afraid to look less than perfect, or to come across as insecure or socially under-developed. Supriya doesn't portray the women I long to be, she embodies the women I am, warts and all. 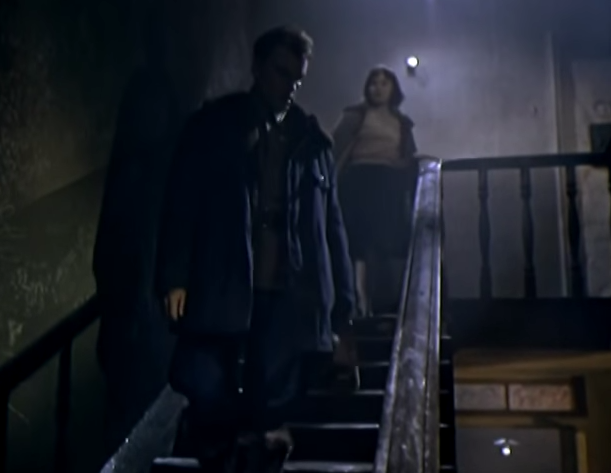 In order to keep posts here more uniform (and let's be honest, uniformity requires a lot of editing time), I usually end up posting my micro-commentary, comparisons, and comedic attempts on halfwaythruthedark, and sometimes Twitter. I will hopefully have time to write-up the recent films I've seen here again in a week or so, once classes and new working hours sort themselves out. Until then, quick links to and summaries of some mini-posts. 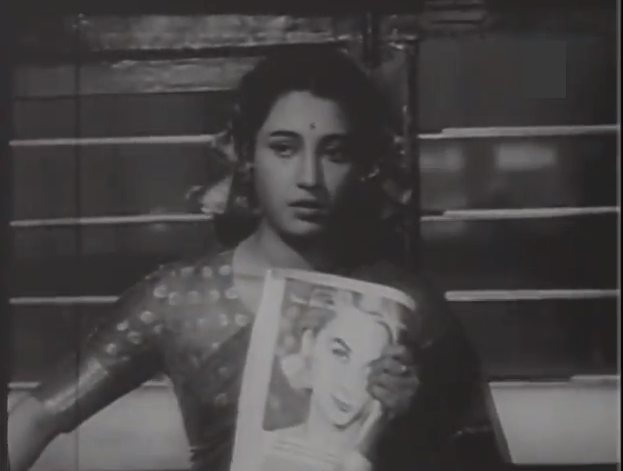 * In the grain of previous filmi-women posts on F~C, re-visiting Saptapadi and applying the question: Is Suchitra Sen's character as "liberated" as everyone has made her out to be? Here. *A lot of director Ajoy Kar's films are ethical treatise masterpieces, probably. Here. *Moral of the story: What NOT to say to an Indian auntie. Here. *How to seduce a workaholic husband. Here. *How to resist an offer of a smoke from those charismatic Bengali heroes. Here. *Bengali Cinema and book fetishes. A couple of explanations here and examples here. 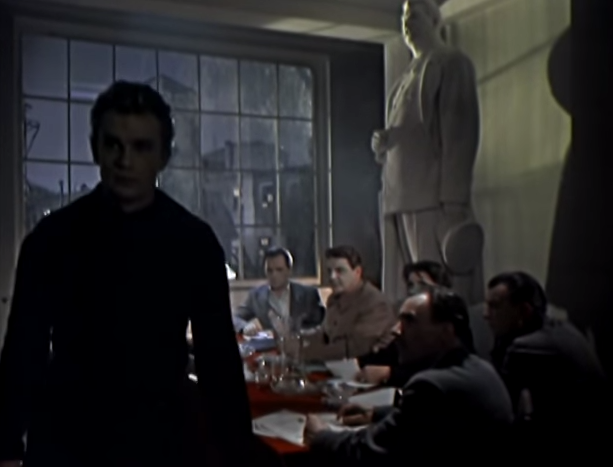 *Shashi Stalker Observations: Can you find the common thread between Shashi roles? Here. *Did Yash-ji steal some inspiration for Kaala Paathar from Dev Anand's Baazi? Here. *Eating crow. Ok, ok, Dev Anand. Here. *How classic films may/might be viewed in India or by Indians today. Do you have an opinion on this? Here. 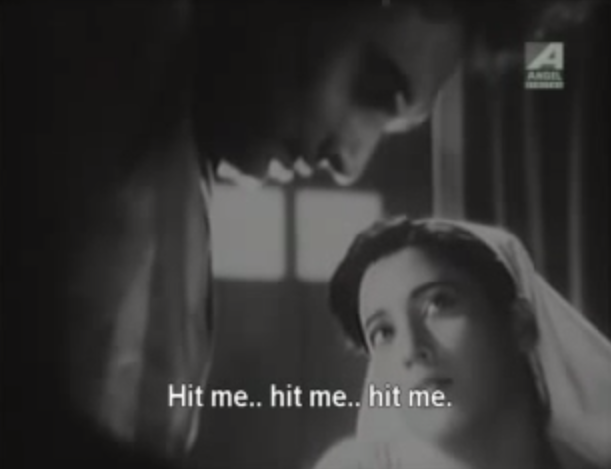 *Raj Kapoor's "hidden meanings" [actually probably not-so-hidden] in "Pyar Hua Iqrar Hua." Here. *Sharmila looks into your soul. Here and here. 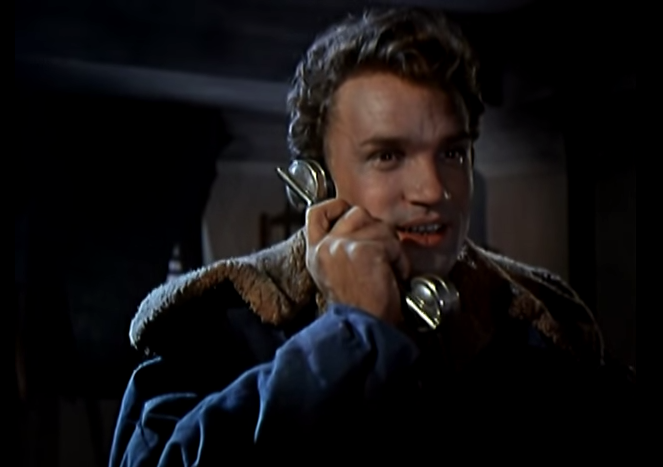 *Occasionally, bad cinema prints don't bother me. Here's why. 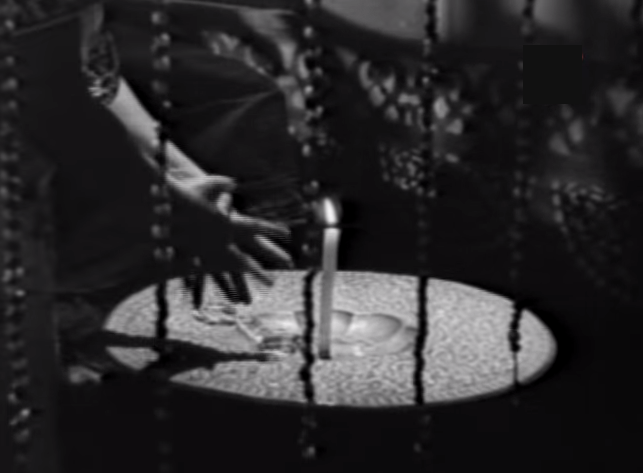 *Possibly my favorite camera move in Pyaasa. Here. *My favorite child actor in Hindi cinema. Beyond baby-Shashi, that is. Can you guess who? Here. *Was the Censor Board awake for Amrapali (1966)? Here. Was I awake for it? Not sure. Here. *One actress I will probably never warm up to, and her modern cinema counterpart. Here and here. *Extensive Q&A: favorite decades, favorite actresses, how to deal with problematic favorites. Here. *Hiding a cinema crush from yourself can be done for a very long time, but not forever. Here. *The most useful gif I've stumbled upon in a long time. Here. 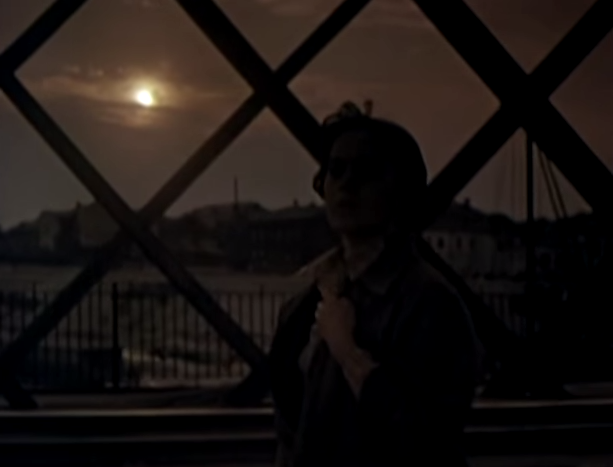 *Connections and parallels between Pepe Le Moko (1937) and The Third Man (1949). Plus, why haven't I heard of this film before? Here. *One of the most hauntingly beautiful films I've ever seen. Hint: It's a fairy-tale adaptation from 1940's France and probably everyone already knew how awesome it was except me. Here. *Where the best insults are... Here. *So ... I finished my first Pakistani film and wrote about it. A little. Here. *My favorite song from the film. Obviously, Faiz Ahmed Faiz lyrics aren't to be sneered at, but there's also something to be said for a smoky atmosphere and a bewafai song. Here. *A shocking cabaret sequence in a Pakistani film. Here. Any recommendations of other Pakistani films to check out? There are a lot available online, but it's hard to know where to start. 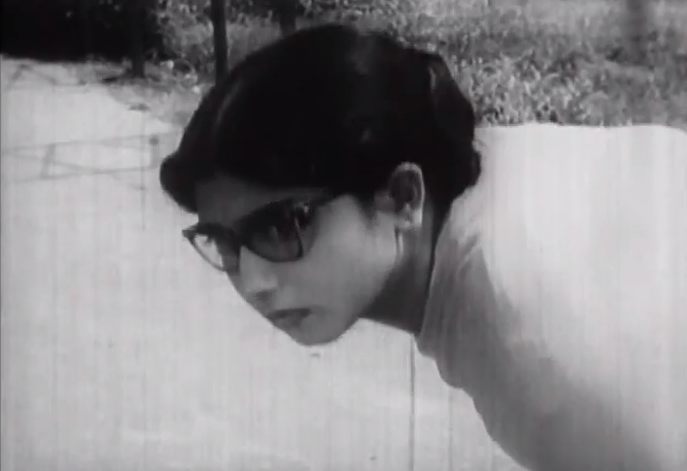 I think I could live with the 60's Pakistani aesthetics, going from early YouTube perusals. As far as I can tell, it's all mostly unsubtitled except for a few Noor Jehan films, which probably have all been subbed by fans. But at least I can understand enough Urdu to follow plots, which makes them slightly less work to watch than unsubtitled (and probably really awesome and deep) South Indian socials. Masala, well, we can all follow that, language barrier or no.